In the 1950s a proxy war in Korea during the Cold War claimed an undisclosed number of civilian victims. It ended in a narrative of the »good« and democratic South Korea as the counterpart to its dictatorial neighbor. War crimes committed by the South Korean regime had no place in how the history was written, and mentioning them is still taboo in Korea today. 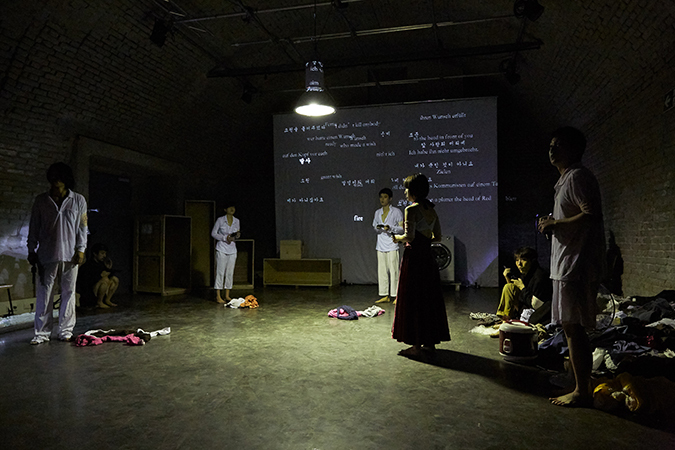 In STEP MEMORIES – THE RETURN OF THE OPPRESSED, which had its world premiere in 2010 in Seoul, the theatermaker and sociologist Hansol Yoon deals with the blind spot in the official version of the Korean War. 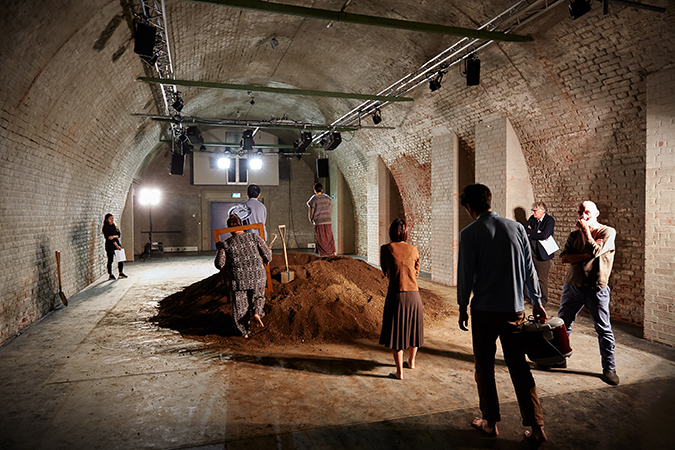 In its Munich adaptation, a bridge is built from the history of the performance location to the main issue: How do historic narratives influence the present, how do they evolve, and who do they serve? 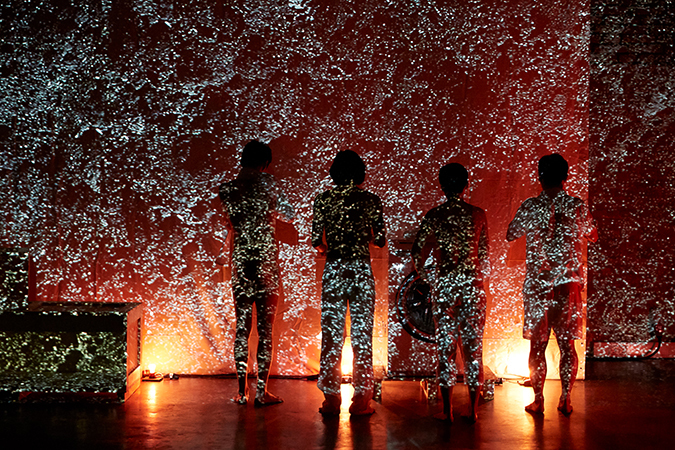 The audience wanders through an installative, multimedia episodic drama with extremely powerful images. Here they encounter eyewitness accounts, music, historical archive material, and films. This provides them with an insight into the political dimensions of how history is written. Hansol Yoon (b. 1972) studied sociology and theater in Seoul and received his master‘s degree in theater direction from Columbia University in New York. 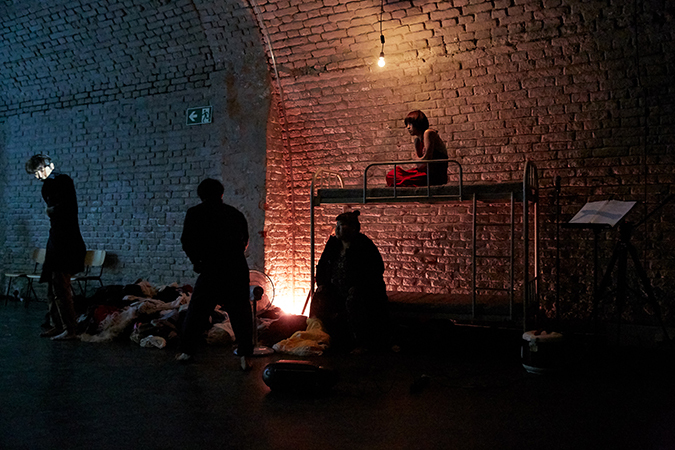 He produced with the group he founded, greenpig, a series of political theater pieces and became known for his crossover projects, in which he linked daring physicality with the possibilities of new and old technologies. Hansol Yoon is currently a professor at Dankook University in South Korea. 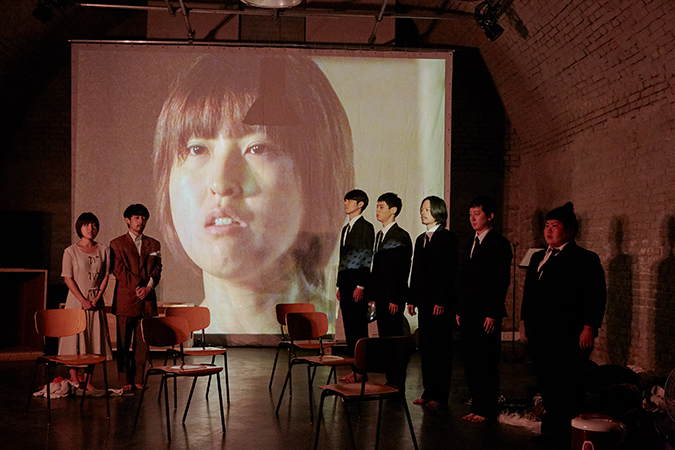 Execution in cooperation with scene/asia – Art Commons Tokyo Funded by the German Federal Cultural Foundation and PAMS/ARKO – Arts Council, Korea.